Hello all! I am finally settling into college and now can focus some time and effort back onto blogging, reading, and writing. It has been an amazing but also stressful month. But I won't focus on that right now, I'm here to talk about books. Specifically, the books that I spent my hard-earned final summer pennies on. I ended up with quite a few more than I expected with a total of 12 physical books (including a few I got for one of my courses), 9 ebooks, and 2 audiobooks. We have a lot to talk about so let's just jump into it, shall we? So for starters I picked up 12 physical books this month. I only expected to get 3, maybe 4 (not including the required buys for my classes). However, I think we can all understand that urge to buy books or to pick up a certain one when we read a thrilling synopsis. The first book I got this month was One of Us is Lying by Karen M. McManus. My birthday was in August and I spent the day with two of my best friends. One of them surprised me and said we could go to Barnes & Noble and she'd buy a book for me. I picked this one and I honestly love her for buying it for me. I've had my eye on this since before its release. It's a book that I've been told is The Breakfast Club meets murder and suspense. I am 100% down for that! The next book I picked up was The Unbecoming of Mara Dyer by Michelle Hodkin. I've had my eye on this one since I started watching BookTube, and I finally picked it up. I unexpectedly had to buy even more books for one of my classes and decided to reward myself buying those books by buying myself a cheat book. So now I have this beautiful book. I've heard mixed reviews but I'm hoping that I'll enjoy it! The next three books are all for my Editing & Publishing class, but aren't necessarily textbooks. I thought I'd just show you them but not go into much detail. The first is The Elements of Style by William Stunk Jr. and E.B. White. The second is Merchants of Culture by John B. Thompson. And the third is Publishing: Principles and Practice by Richard Guthrie. Next I rewarded myself for buying those required books. How did I reward myself? I bought some books I wanted in the form of Shatter Me, Unravel Me, and Ignite Me, all by Tahereh Mafi. To be fair, the box set was only $16 so I felt like I was getting a pretty good deal. Plus, I've had my eye on this series for quite a long time and I'm so excited to dive in and see what all the love (or hate) is about. Then I picked up Beneath a Scarlet Sky by Mark Sullivan. I picked this up for one main reason: Tom Holland (aka my bae) is playing the main character in the movie adaption. While the adaption is still a while away, it just means I have extra time to read the book before going to the movie. It also sounded like a pretty good war novel, which I've read a few of lately. I'm excited but I'm not dying to rush into this novel. Then I picked up The Thief by Megan Whalen Turner. I heard Reagan from PeruseProject talking about this series in her most recent book haul and the premise sounded interesting, so I looked it up on Amazon. I read the official description and knew I wanted to read it. Then I saw the price: $3. I knew I had to 1-Click that book and add it to my collection. Next I have a book that released this month: The Dazzling Heights by Katherine McGee, the sequel to The Thousandth Floor. I haven't read The Thousandth Floor just yet, but I did bring it to college and it's been on my radar since before its release. I've tried to not buy sequels lately that I haven't read the first book, but I knew I had to have this one simply because of the stunning cover. I hope I get sucked into this world and these characters. And probably my most anticipated book I got this month is Wonder Woman: Warbringer by Leigh Bardugo, the first in the D.C. Icons series. I must confess that I haven't seen Wonder Woman yet (gasp, I know), but I've wanted to and I've been excited about this book for quite a long time. I'm not much into comics but I am into books. I don't know when I'm going to be able to get to this book, but hopefully soon. I also picked up 9 ebooks, which was a huge surprise for me. I thought I'd get maybe 2 (both preordered). Still, I'm not mad. All of them were under $3, so I can't be mad about spending money on them. Plus, most of them are books I've been wanting and found for a cheap price on ebooks or new RH releases. First I have Take Me On by Katie McGarry. This is the fourth book in the "Pushing The Limits" series. I have the box set of all the previous books and novellas so when she announced that this was on sale for a cheap price, I jumped on it. Every book written by Katie McGarry that I've read has been awesome and I can't wait to start this series soon. 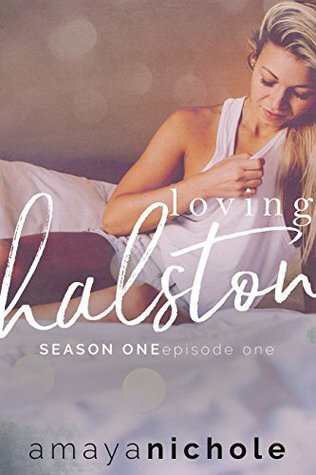 Then I bought Loving Halston by Amaya Nicole. To be honest, I don't remember at all what this book is about. I believe that I had it preordered so I know it is something that interests me, but I do not know anything about this book. I have a feeling it is RH, so that excites me since RH books are one of my favorite type of books to read. 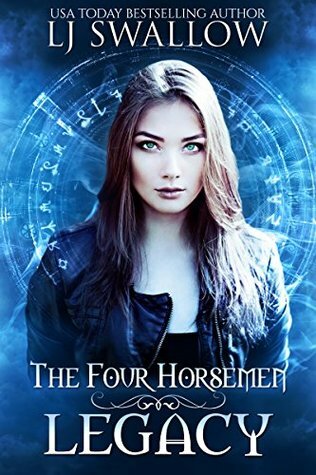 Next I picked up The Four Horsemen: Legacy by LJ Swallow. I know this was one of my more anticipated RH releases of this summer and I honestly am so excited to read it when I get the chance. It sounds so interesting and I hope it leads to a good series. 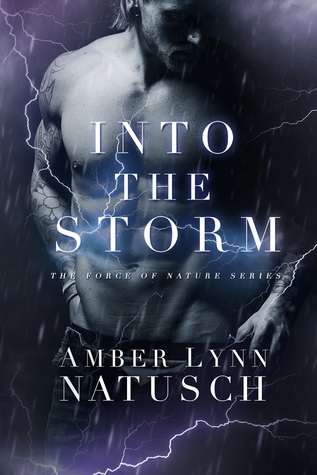 Next I have Into the Storm by Amber Lynn Natusch. 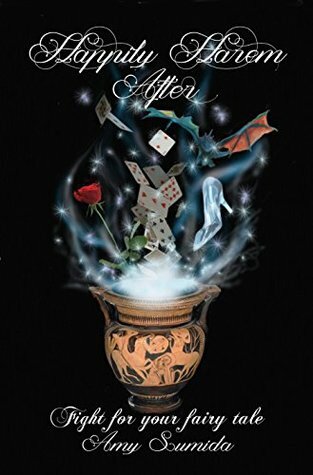 This is the sequel to From the Ashes by the same author, a book that I absolutely adored. I read the first one so fast and have been eagerly anticipating this release. I haven't gotten the chance to dig into it yet, but I know it is going to be amazing when I do. 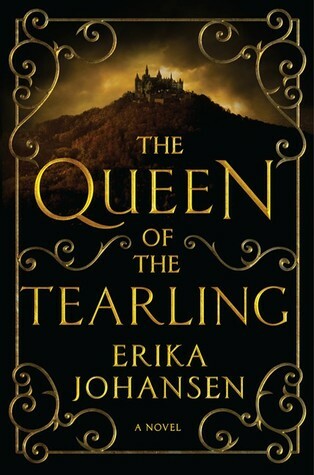 Then I bought The Queen of the Tearling by Erika Johnasen. I've had my eye on this book for so long, specifically the gorgeous hardcover. But when I saw it on my BookBub newsletter for only $2, I knew I had to jump on that chance. I'm not 100% sure what this series is about, but I know it's high fantasy and I have heard nothing but great reviews. Then I have Happily Harem After by Amy Sumida. Short and sweet for this one: the only thing I know is that it is an anthology of RH retellings. 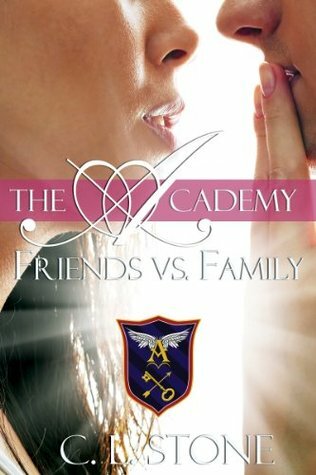 Next I grabbed Friends vs. Family by C.L. Stone. This is the third in the Ghost Bird series which I absolutely adore. I have all the books on my other kindle but I have no way of combining my two libraries so I am working on getting all of them on my main account. Also, if I bought this kindle book, I got the audiobook included for only $4 instead of $24. It was really a no brainer. 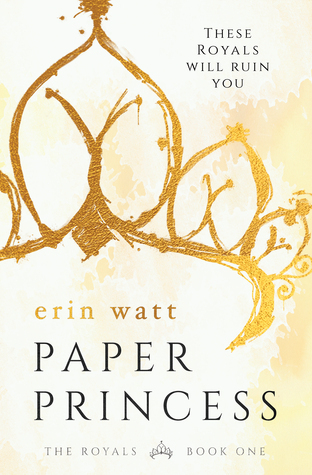 Then I grabbed Paper Princess by Erin Watt. I've had my eye on this one for a while now but I think what finally pushed me over the edge was it went on sale for less than a dollar. Not entirely sure what it is about since I haven't read the synopsis in a while, but I hope it will be good. 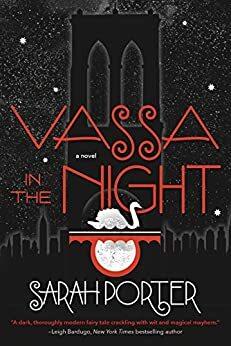 Lastly, I have Vassa in the Night by Sarah Porter. 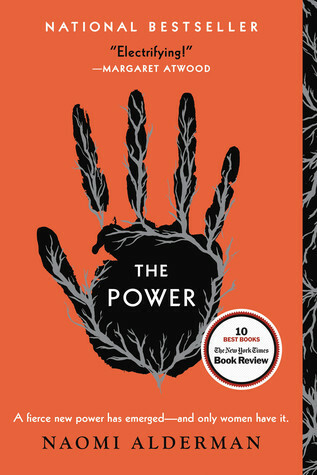 I've been interested in this book for a while now, so when I saw it on my BookBub newsletter for about $2, I jumped on the chance to add it to my collection. I have no idea what it is about, but I'm excited nonetheless. I also picked up two audiobooks this month. 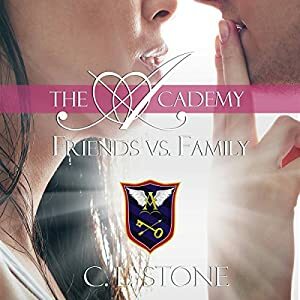 The first one I bought was Friends vs. Family by C.L. Stone. As stated previously, I love this series and this is one of my favorite installments. I'm so excited to hear the different voices of my favorite characters and get a deeper understanding by hearing all the emotions. 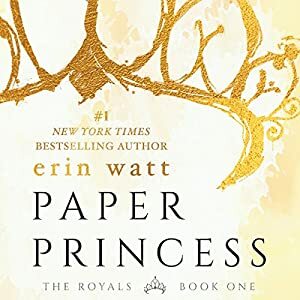 The second audiobook I have is Paper Princess by Erin Watt. Well, there you have it. That's my haul for the month of August. I would say that my September haul won't be as big, but I think we all know that would be a lie. With all the new releases and special editions of books coming out next month, I know for a fact my bank account will probably hit single digits for a little while.